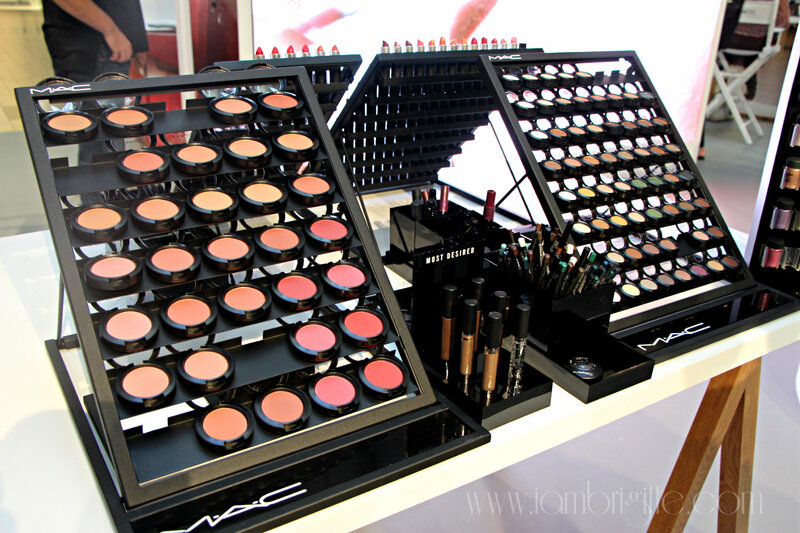 IAMBRIGITTE : Learn Makeup In Minutes with MAC Instant Artistry…. 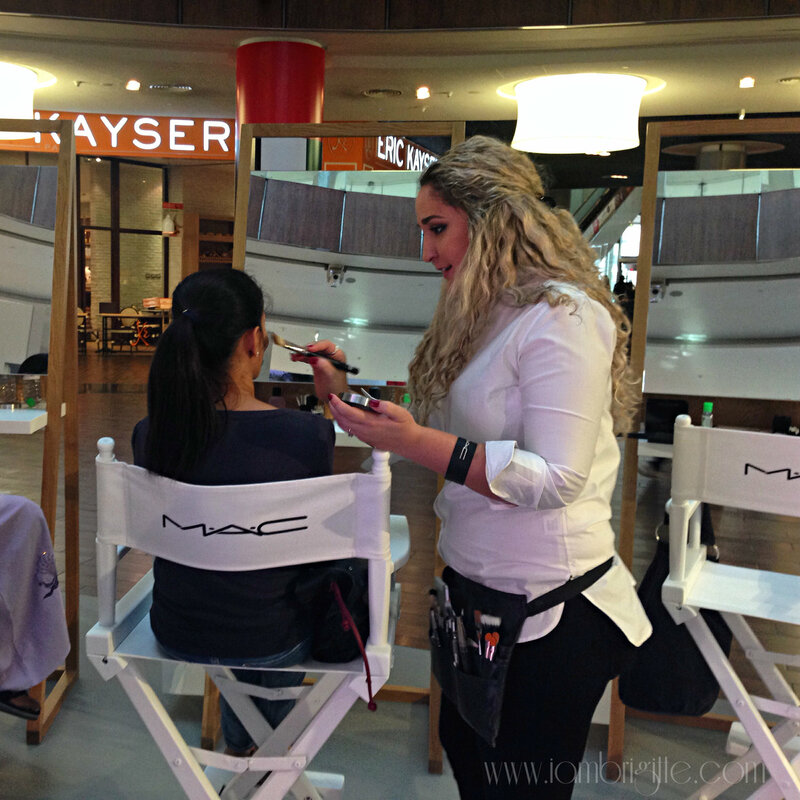 Learn Makeup In Minutes with MAC Instant Artistry…. Do you want to learn some basic makeup skills in just minutes? 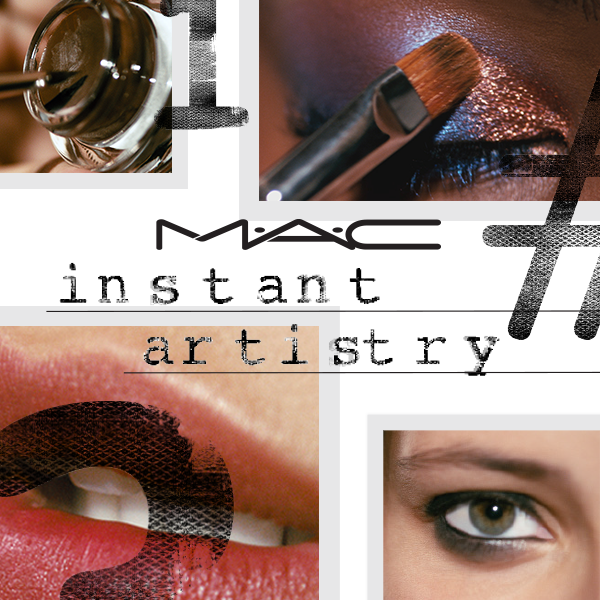 Then check out the MAC Instant Artistry event: the quickest, easiest and most interactive way to learn makeup skill from the pros. I got an invite to check it out on the first day and since I have a one-week off before I start with a new job, I happily braved the almost half an hour metro ride going to Dubai Mall. I learned that this is the first time for such event to be held here in the UAE. So yes, I do consider myself lucky to be one of the firsts to experience it. 'twas also my first time to attend such event (I think the first MAC Instant Artistry in Manila was held just this year too!) so I was quite surprised to see the setup: almost everything was in white, instead of the usual black which is the sort-of branding color of the brand. 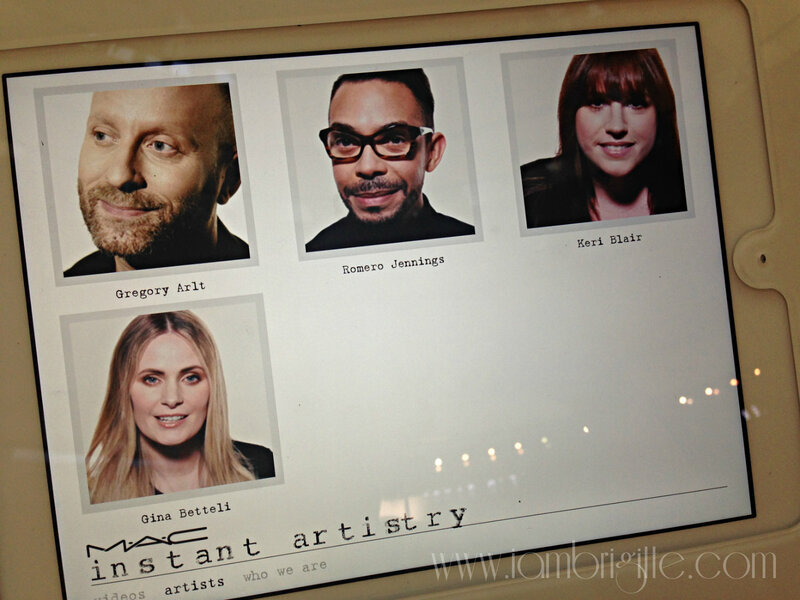 There are iPads for everyone to use where you can watch the short makeup videos from the brand's Senior Global Artists. Yours truly watching intently the video on how to use MAC pigments. 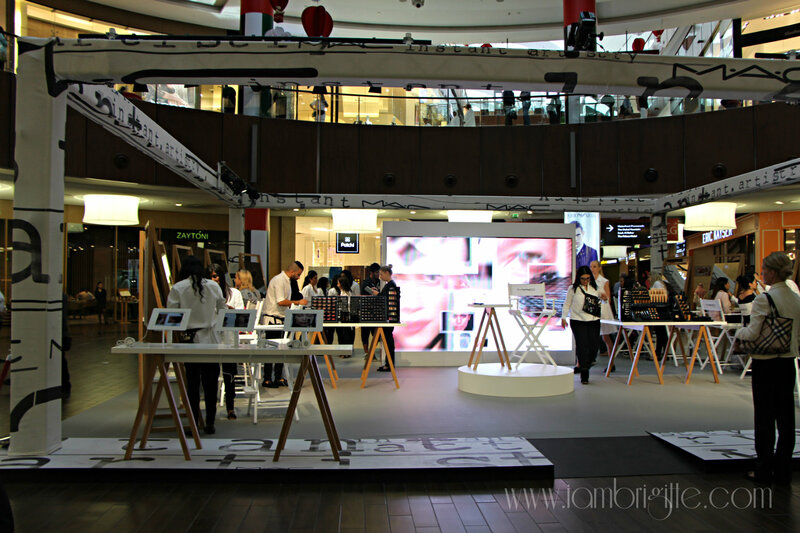 You can also get a complimentary short demo/makeover from one of their makeup artists to personally teach you how to achieve a look from one of the videos. I chose the "Flawless Face in a Flash" how-to video. 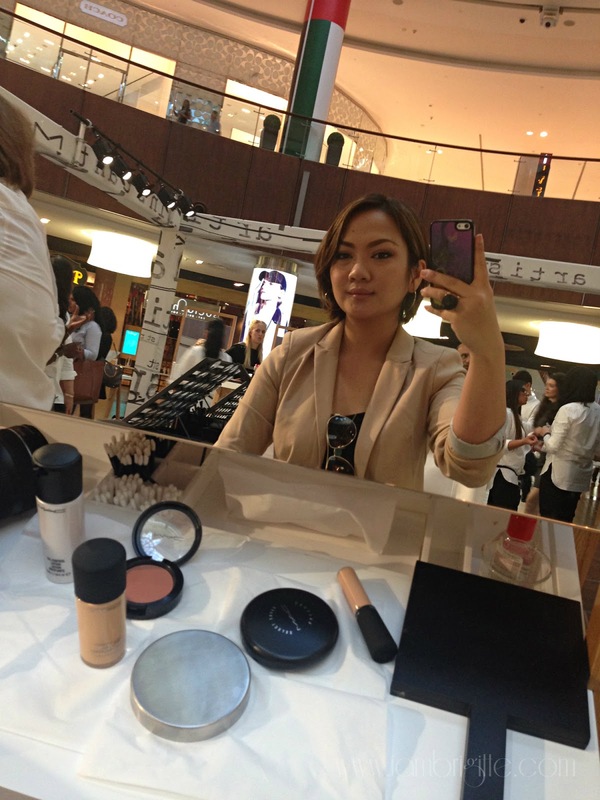 With the makeup artist who gave me a (foundation) makeover that day…she does look like Kim K, no!? 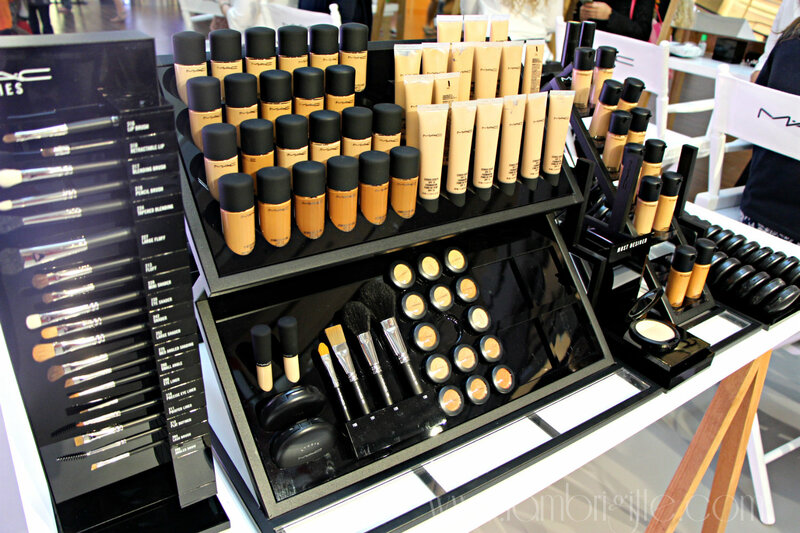 After the makeover, I fell in love with MAC face products all over again! Have you noticed, even the makeup artists are looking different. They know that some people find them intimidating when they are in all black and wearing a heavy makeup. So to make them look more welcoming, they wore white and less makeup. Personally, I can say it worked! After the makeover, you can also send information about the products used and the steps done to your email so you can do it on your own at home. Don't we all wish to have all of these goodies at home? 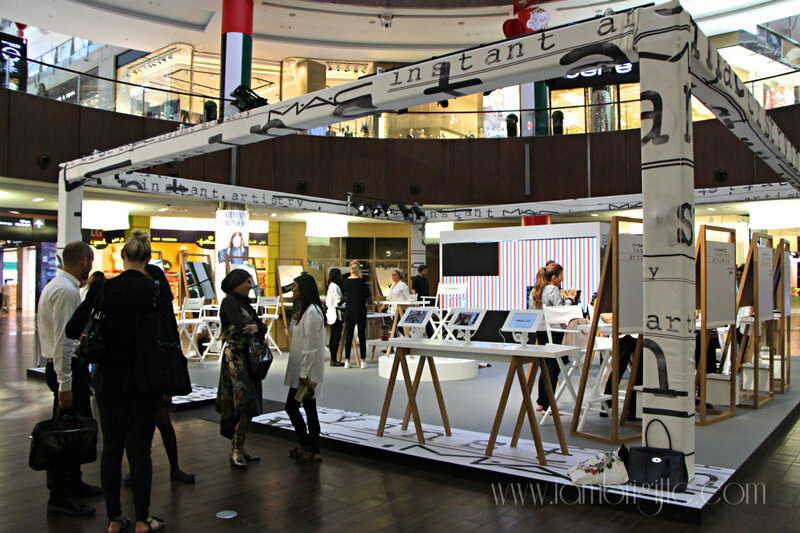 Today is the last day of this MAC Instant Artistry event. If you haven't checked it out, do so! I'm sure you wouldn't mind learning a tip or two (or more) when it comes to applying makeup. I've been using makeup for more than 7 years but I was still able to pick a few more techniques. Makeup newbies and pros are definitely welcome! I was able to drop by again on the second day and I can say the event is such a hit. So I bet this won't be the first and the last event of its kind here in the UAE. Congratulations to all those who made this event possible and a very successful one. Looking forward to more to come! 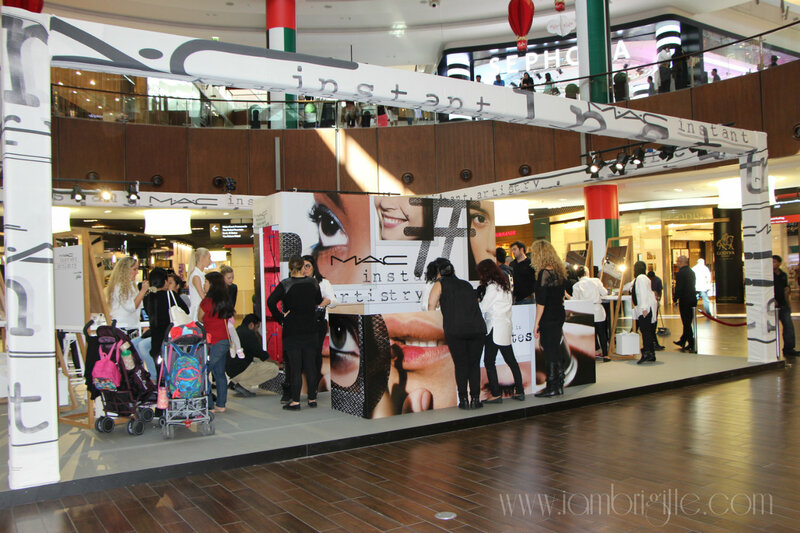 By the way, for our friends back in PH, MAC is also having this Instant Artistry event in Manila. It is being held at the Mega Fashion Hall in Megamall and will last until November 18.